The secret to success in blogging? Content. You can have the prettiest blog on the internet but it all amounts to nothing if you don't have anything to offer. Providing worthwhile content for your readers will keep them coming back to your blog time and time again. 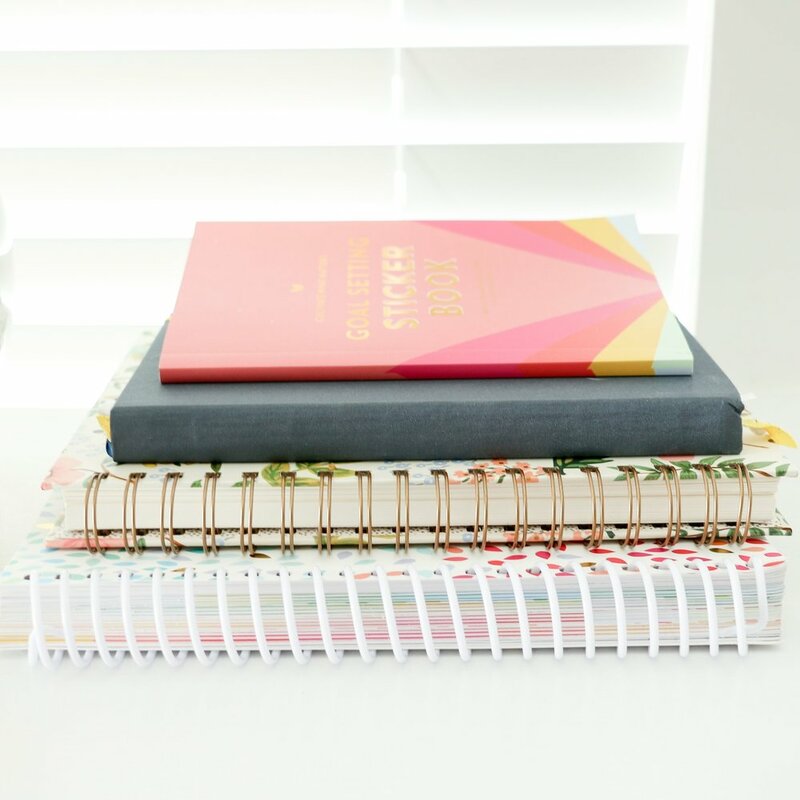 Today's post is all about creating a content plan that inspires you, gives you room to grow, and most importantly, provides value to your readers. Let's walk through some habits that might be holding you back from producing worthwhile content. I learned a lot of these lessons the hard way so if you're currently doing one of these, don't be discouraged! I posted sporadically when I first started blogging. There was no pressure to create new material, so if I didn't have anything to write about I would simply skip a day or two. But when I committed to blogging daily, it became a little more difficult to come up with ideas. I would wake up, realize I didn't have anything planned, and scramble to throw something together for the sake of posting. And the next day it would happen all over again. I wasn't putting adequate thought and intention in my posts, and inevitably my content suffered. Being unprepared left me with posts that I didn't enjoy writing and material my visitors didn't enjoy reading. So I started to blog smarter by planning out my posts. The saying "a little planning goes a long way" couldn't be more true. It felt strange saving posts for later, but creating a blog schedule gave me control and saved me stress. More importantly, it provided my readers with better content. It didn't take long for the pendulum to swing hard in the other direction. I got so wrapped up in my blog schedule and my weekly blog series' that I never deviated from the list. I was achieving my goal of posting daily, but there was something missing. The blog got boring fast. I've learned that the cure for "blog boredom" is staying actively inspired, which I'll talk more about in a minute. Just because you have blog series in place doesn't mean you're done. If you aren't growing and enjoying your posts, what's the point? This is by far the greatest hindrance to creating quality content. With so many great bloggers out there, it's easy to be inspired. But if your blog is too heavily influenced by other blogs, you're going to run into trouble. A photocopy is never as sharp as an original. Don't be an imitation; stand out from the crowd by coming up with ideas and content that is distinctly and uniquely you. This Blog Calendar printable is available for unlimited use in the Elle & Company Library! Now that we've combatted some common mistakes, let's get to work on your content plan! Take time to work through these exercises and fill out these questions - this is a pivotal step in the success of your blog. 1. Brainstorm the content you want to write about. If you read last week's post, you've probably noticed that I'm a big fan of brainstorming ideas. Use your "areas of interest" list (last week's homework) and spend some uninterrupted time creating broad categories that you would like to cover on your blog. Once you have those listed, create subcategories under each one. Get every topic on there, big and small. If you're like me, this step will start a whirlwind of ideas. I've found that my best content is created when I'm inspired and excited about a topic. 2. List the content you don't want to write about. This is just as important as #1. There are several things that I'm interested in and passionate about that I choose not to include on the blog. Some don't go along with my mission statement, some are just too personal, and some I'd like to keep as hobbies without the added pressure of using them as blog material. There's something to be said about setting boundaries up front and knowing what you aren't interested in writing about. How often do you plan on posting? Twice a day? Three times a week? Once a month? Keep in mind that there is no standard; no one else is setting these expectations. Consistency is good for both you and your readers, so choose a schedule that works best for you. It's often helpful to start a series of posts to share weekly or monthly. These features provide consistency for your readers and give them something to return for, but they also provide you with material to blog about. Plan the series that you want to blog and decide how often you plan on posting them. Keep in mind that you can always reevaluate these features and make adjustments every few months. 5. Keep a few backup posts on hand. Sometimes things don't always go as planned, and that's okay. Keep one or two easy backup posts on hand in case one of your blog posts falls through or requires more time to complete. If you get through the month without having to use them, you have a few bonus posts to double up on! Is your content plan attainable? I'm guilty of getting a little over-ambitious when I'm writing out my schedule. If you're like me, this question is one that you may need to ask yourself often. Identify which posts will be more time-consuming and space them out throughout the month. Throw some "easy" posts in the mix that won't require as much time and effort to lighten up your load. Are you excited about your planned content? Creating a blog calendar should be helpful, not stressful. If you're feeling overwhelmed by your content plan, you may want to reconsider your post frequency and switch things up a little. You're bound to come across a post that takes a little more brain power and effort, but preparing for your posts should never be daunting. 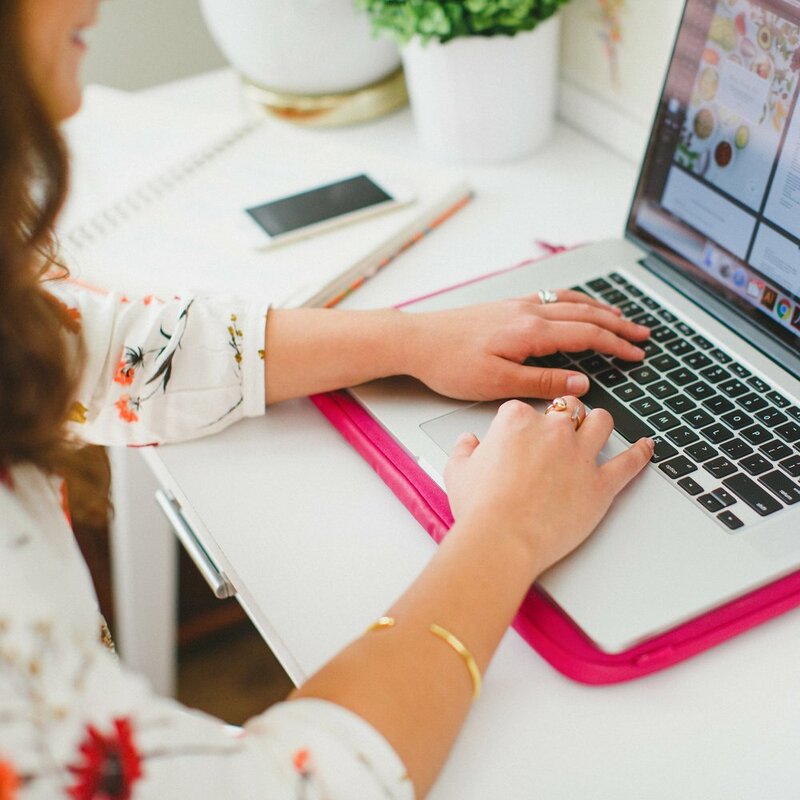 Make it a priority to stay inspired and beat blogging boredom by choosing posts that excite you. Do you see any fluffy posts? Fluffy posts are filler posts that don't serve any greater purpose. These posts may even be popular with your readers, but they won't make you successful in the long run. Why waste your time putting fluff out there when you could be providing people with useful content? If you see fluffy posts, mark through them on your blog calendar and replace them with something worthwhile. If you've followed these steps, I guarantee you'll be left with an inspiring, quality content plan. And if you have any questions along the way, feel free to reach out to me! Like I said - I love brainstorming, and I love encouraging other bloggers even more.